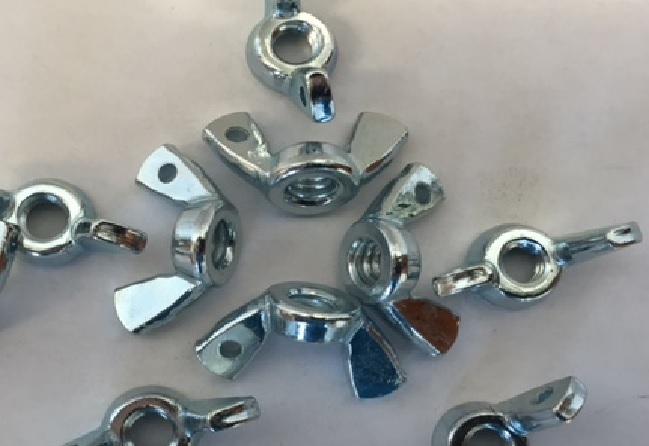 Sealing Wing Nuts | Electrical Sealing Nuts | Cal Fasteners, Inc.
Cal Fasteners offers special sealing wing nuts for security-critical electrical applications. 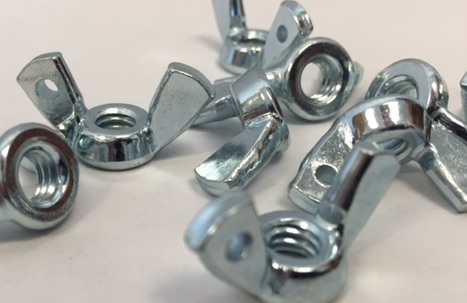 These zinc-plated, cold forged steel wing nuts have holes drilled into each wing of the nut, allowing wire or cable to be threaded through to provide tamper-evident security. Stainless steel sealing wing nuts are also available upon request. Available and ready to ship in one standard size; select specialty sizes may be available upon request—contact us for sizing information and availability. Our sealing wing nuts are often used with our sealing screws for maximum effectiveness. Request a quote on sealing wing nuts, or contact Cal Fasteners to learn more.